How Much:Tickets are $20 adult, $10 ages 16 and under. On-sale now! Details:As always, this event is BYOB - last year sold out, get your tickets now! Salt Lake City, get ready! On Wednesday, September 19th, TGR is returning to Red Butte for the winter kick-off party of the year. 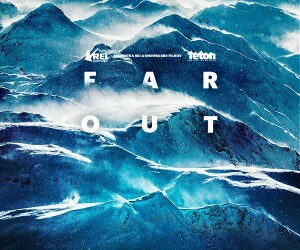 Join us for a one-night only premiere of our new feature length ski and snowboard film, Far Out, presented by REI.